Kayak through the famous Nam Song River and go on an exciting zipline adventure! It was so fun & the coaches are professional & friendly. The lunch provided also quit nice. Experience adventures and thrills like no other with this one of a kind activity outside of Vang Vieng, which takes you swimming, kayaking, and even ziplining! 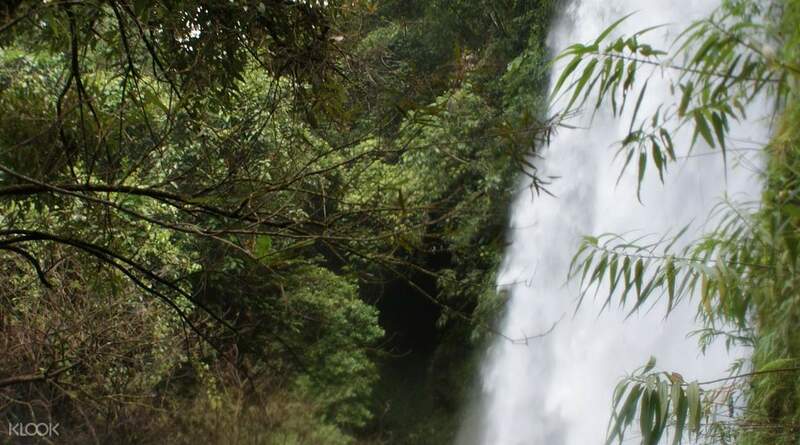 Start off the tour with a pick up at your hotel, followed by a stop at the famous Nam Song River, a popular tourist destination in Laos. Spend some time kayaking in its cool, clear waters as you admire the peaceful countryside and stunning karst rock formations. At noon, you'll take a quick break to enjoy a tasty picnic lunch while getting an unbeatable view of your surroundings. 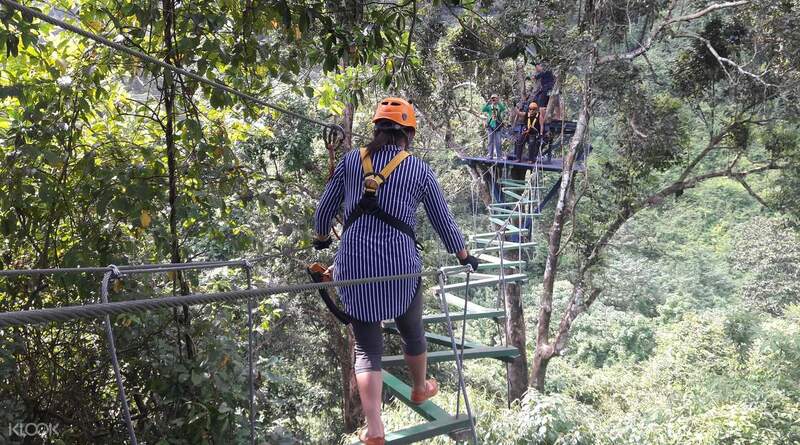 Go ziplining at Phar None Cliff and feel the adrenaline rush take over your body as you go flying over several rivers and lush forests. 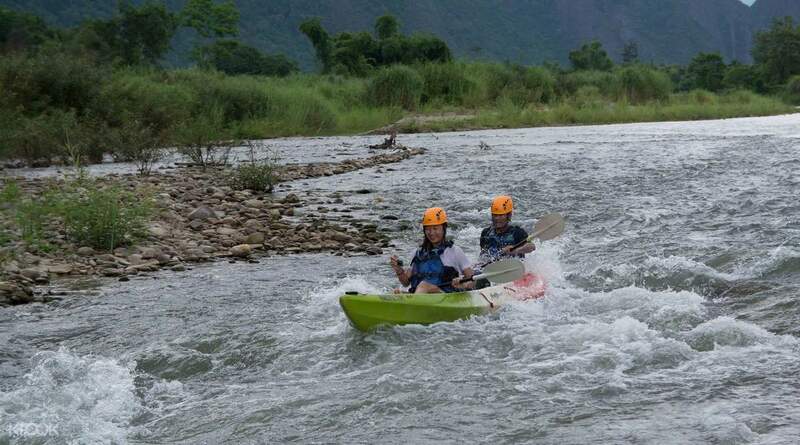 Head back to Nam Song River for a bit more kayaking, then proceed to Kaeng Nyui, a 30 meter waterfall. Cool off from the heat by taking a dip in its clear waters, or take photos of this impressive feat of nature, before you get dropped off back at your hotel. 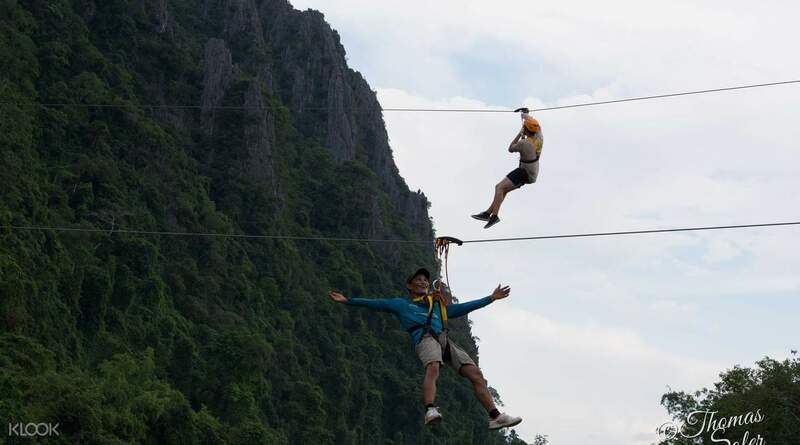 Challenge your inner thrillseeker with this adventure-filled day at Vang Vieng! It was so fun & the coaches are professional & friendly. The lunch provided also quit nice. It was so fun & the coaches are professional & friendly. The lunch provided also quit nice. Very interesting, both adults and kids had a very good time. Highly recommended. Very interesting, both adults and kids had a very good time. Highly recommended. great experience with klook, will book tickets here again for our next trip. great experience with klook, will book tickets here again for our next trip. No matter from the beginning to the end of the process, staff are very professional and explain carefully, very good experience, have the opportunity to participate! 工作人員不管從開始到過程至最後，都相當專業而且細心解說，相當棒的體驗，有機會一定要參加! !